In The Market For A New Roof? Roofworx Has PVC Roofing Just For You! PVC roofing is a layer of single-ply roofing, with the membrane made of thick, flexible UV resistant thermoplastic material. PVC (polyvinyl chloride) may also contain fiberglass, polyester, or other plastics during creation. 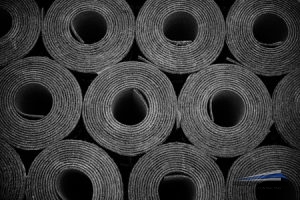 As a roofing material, the plasticized components used help to strengthen the structure of your roof. Make your roof more durable and lower maintenance needs with PVC! 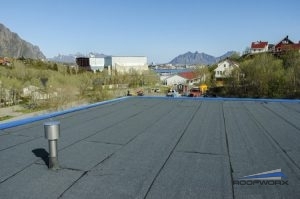 You may have heard of PVC roofing, but do you know how it can benefit your commercial property? Call us today 817-920-5974 to learn more about PVC roofing in Fort Worth and Dallas, TX. How Can I Benefit From PVC Roofing? Since PVC is a manufactured material it is generally inexpensive, fire safe, and weather resistant. PVC is better for commercial buildings in warmer climates, as extreme cold temperatures can shrink the PVC membrane and cause it to start cracking. With a lifespan of 20-30 years before you incorporate a roof coating, PVC roofing is an ideal fit for commercial businesses who are looking for the perfect fit during their roof replacement or repair. Roofworx Can Help You Get The Right PVC Roofing That You Need. PVC is also naturally chemically resistant which appeals to a lot of commercial properties. It is also available in white, grey, and tan to reflect the sun’s heat. PVC roofing can be made to fit nearly any and all types of flat roofing shapes for commercial buildings. As with most flat roofing materials, PVC comes in a membrane form that is “rolled out” onto the roof and attached with either adhesives or nails. PVC is still a very uncommon material used for commercial roofing, but it can be the right fit for yours with the help from Roofworx. Call us today 817-920-5974 to talk to our roofers about PVC roofing in Fort Worth and Dallas, TX. Updated on April 4, 2017 at 6:30 pm by Roofworx & General Contracting.